Find the best price forIs a Camel a Mammal? "From fruit eating bats to smart chimpanzees, from moles in their holes to seals in the seas", Dr. Seuss' famous Cat in the Hat takes young readers on a fun-filled tour of the world of mammals. This title forms part of a series of books that takes a look at natural history through a fun combination of Seussian rhymes and zany illustrations. Aimed at beginning readers -- from four to seven years old -- the books are designed to bridge the gap between concept books written for preschoolers and more formal non fiction titles that require fluent reading skills. By presenting the facts in a lively and rhythmic manner, they provide the critical foundation upon which complex facts and ideas can eventually be built. 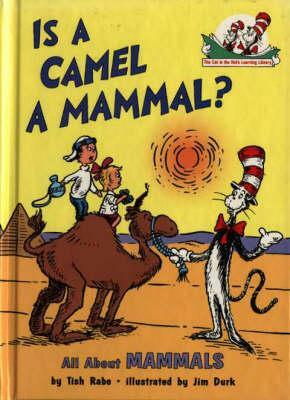 Compare New Book Prices for Is a Camel a Mammal?